When you’re writing about cars, you tend to receive a lot of requests for automotive advice. “Which car should I buy?” Which car is the best car?” “What’s the difference between car A and car B?” And they’re usually tough questions to answer, because lately, there has been no such thing as a bad automobile. Every carmaker is upping its game to sell what they believe to be, the best car. 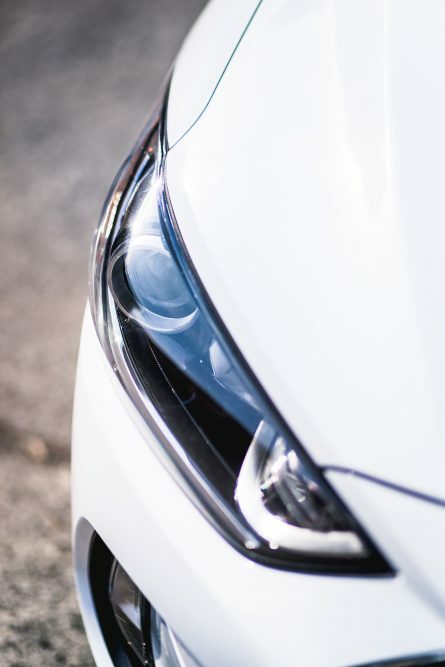 The compact car segment is a particularly tough one in which to make recommendations, because there are some seriously solid entries at the moment in the likes of the Honda Civic, Volkswagen Golf, Chevrolet Cruze, and Mazda 3. But when someone I love dearly, such as a family member, or a friend, approaches me for advice on which small car to buy, I take the time to properly weigh my answer, because I want to make sure they’ll be in good hands. I want them to buy the best car. This is why, if my own lovely mother would seek my advice, right now, for a compact automobile, I’d tell her, without hesitation, to go out and buy a 2017 Hyundai Elantra. It’s just a damn spectacular, humble compact sedan. Of course, I’d want my mother to look good when she’d arrive to places, and like pretty much everything else the Elantra does well, this is a beautifully styled little car. The overall design is swoopy and curvy, typical of Hyundai’s design language. The rear taillight treatment and front grille is very Peter Schreyer. 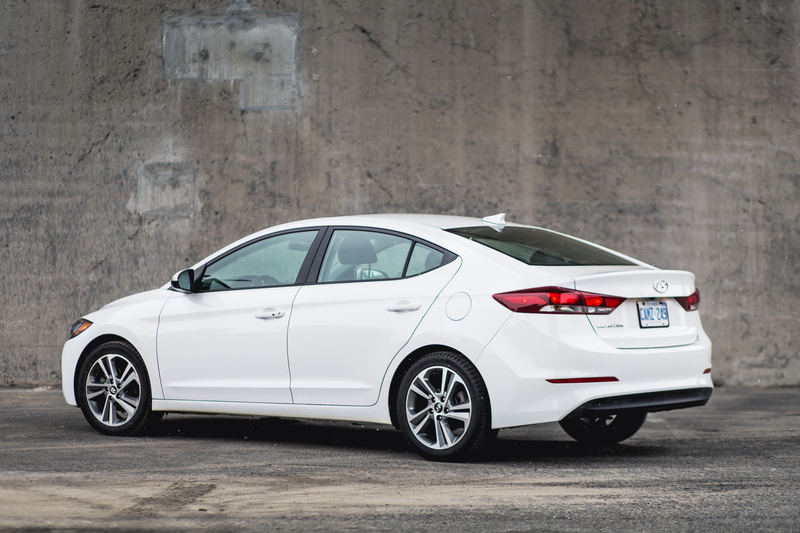 From some angles, the Elantra almost looks like a budget Audi A3. Elegance is the theme here, and the Elantra does it impeccably well. Mind you, this isn’t a flashy car by any means. But I give credit to Hyundai for not getting lost in the controversial, Gundam-style futuristic lines currently offered by some of its Japanese rivals. What I also appreciate about the Elantra is that it still looks like a compact. Unlike the Civic, which looks like a transformer with a water retention problem. At first glance, the Elantra feels tight, lightweight and nimble, like a compact should. Yeah, this is attractive. 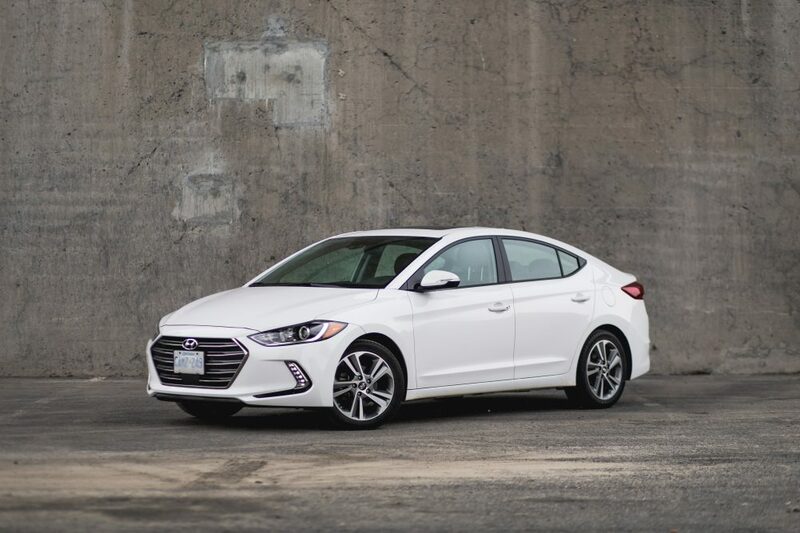 The only downside to the Elantra’s design is that, although I admire Schreyer’s work on all Hyundais and Kias lately, we’re still noticing a lot of similarities with Volkswagen and Audi designs. Hyundai needs to work on an identity, and unfortunately, as good-looking as this Elantra is, it still doesn’t evoke anything special. You may remember the Tucson crossover I reviewed last year, both the 2.0-liter and the 1.6 turbo. It’s the one that got me in a bit of trouble. The Tucson had impressed me by how solid it felt behind the wheel, and the Elantra continues on the same theme. Forget the cheap-feeling, flimsy Hyundais of the past, because the Koreans now make fine and sturdy automobiles. Period. Part of that credit goes to the fact that Hyundai is the only carmaker to manufacture its own steel, and it’s been fitting its cars with a lot of it lately. 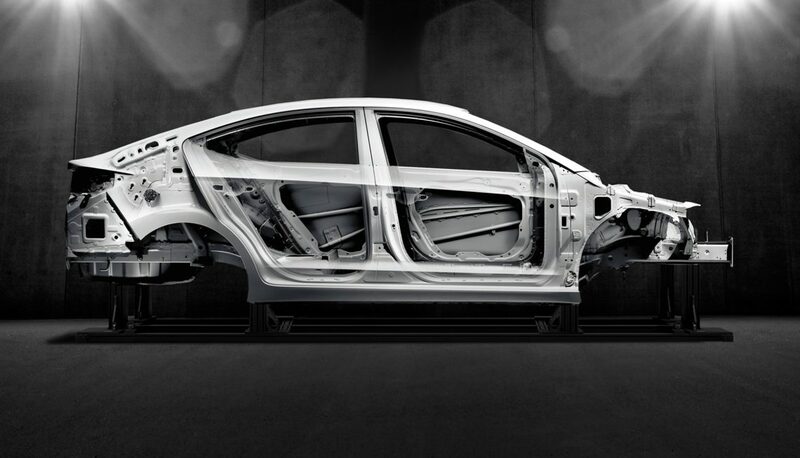 Riding on Hyundai’s new Super Structure platform, the 2017 Elantra uses 32 percent more advanced high-strength steel than the model it replaces. It also gets almost 400 feet of structural adhesive to tightly bind its chassis stampings together. The end result, it must be said, is quite impressive. The immediate sensation behind the wheel is a quiet and buttoned-down ride, mimicking what is traditionally found in German cars. 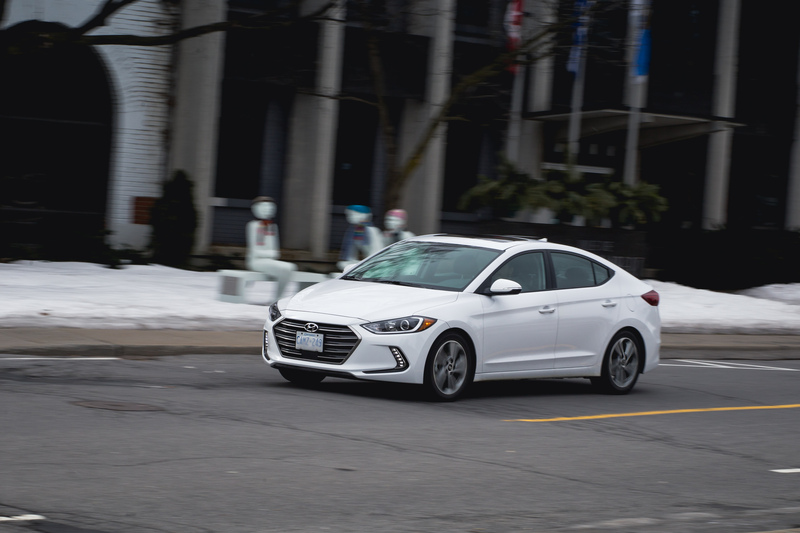 While still not quite up to par with Volkswagen’s tank-like construction, the Elantra doesn’t just pretend to be a quality product anymore, it is a quality product. That reinforced chassis not only adds to the car’s overall sense of refinement, but significantly improves its composure over rough road surfaces, all while adding confidence to the driver, which in turn translates into a much safer automobile. Hear that mom? 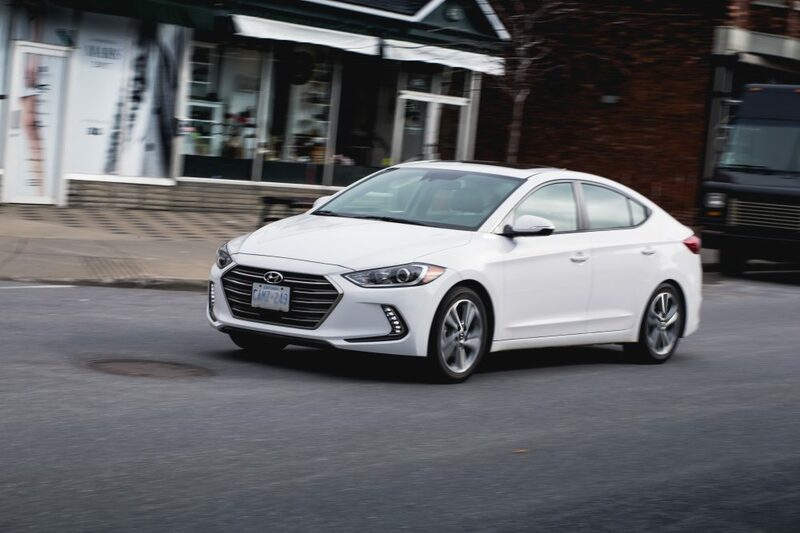 Of course, out of the box, the Elantra was never intended to be a sporty car – Hyundai will sell you the Elantra Sport if you desire more mojo from your Korean compact, but the Elantra goes about its business with very little fuss, carrying speed effortlessly, while delivering a composed and compliant ride, free of unwanted chassis quibbles or cabin rattles. 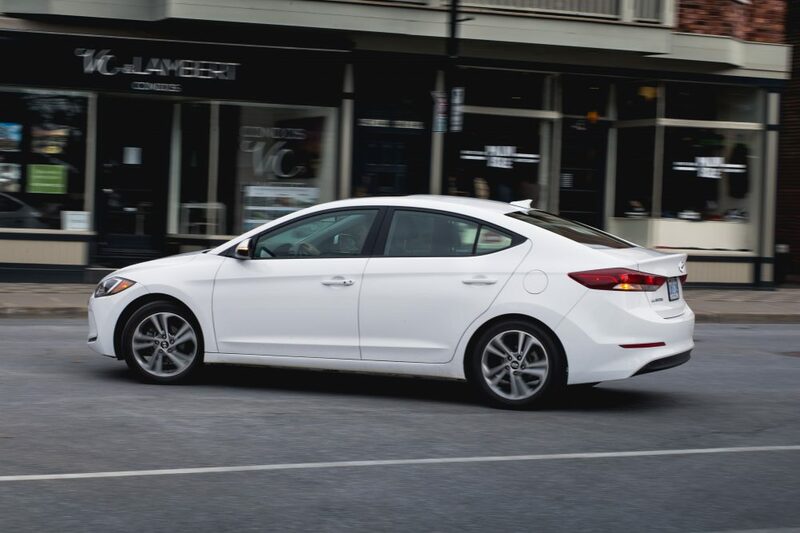 Power in the 2017 Hyundai Elantra comes from a naturally aspirated, 2.0-liter, inline four cylinder. It’s the only engine available throughout the Elantra lineup before heading into the Sport range. Power is claimed at 147 horsepower and 132 lb-ft of torque. That power is routed through a 6-speed automatic, like my tester. Base Elantras can be had with a manual box, but unfortunately, the stick isn’t available once you start piling up some equipment. The 2.0L operates fine, but like in the Tucson, it lacks a bit of punch. 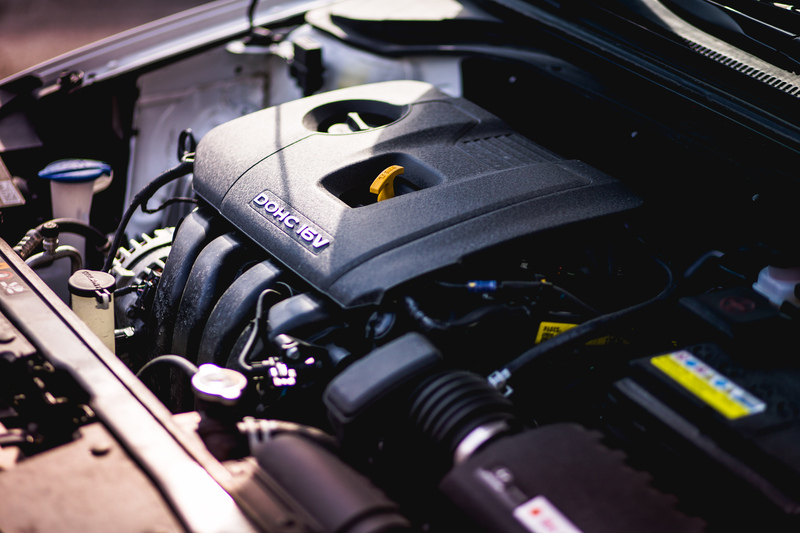 It’s important to underline the fact that some of the Elantra’s competitors, such as the Honda Civic, offer a more powerful engine as you climb through the trim levels. Hyundai bets on the Sport for that. But an extra 15 hp wouldn’t have hurt the Elantra, because the 2.0L is somewhat lethargic. Bury the accelerator, and although downshifts are instant, the engine simply has difficulty getting this swoopy sedan off the line. That automatic transmission is near flawless by the way. Downshifts are brisk, upshifts are smooth, and it just does what it was meant to do impeccably well. I personally am not a fan of the Elantra’s seating position, where you sit up high, as if you’re on top of the car instead of actually sitting in it. But shorter drivers might appreciate that. The flat-button steering wheel is an attractive and functional piece, and this is a very comfortable compact to spend some time in, one in which I wouldn’t mind going on a road trip. Rear seat room and cargo space are abundant, and overall visibility is excellent with easily identifiable and overall well-positioned controls. Fit and finish is another of the 2017 Hyundai Elantra’s strongpoints. Materials feel high-grade and overall assembly is above average, more so than in a Chevrolet Cruze for example, which wasn’t that bad in itself. 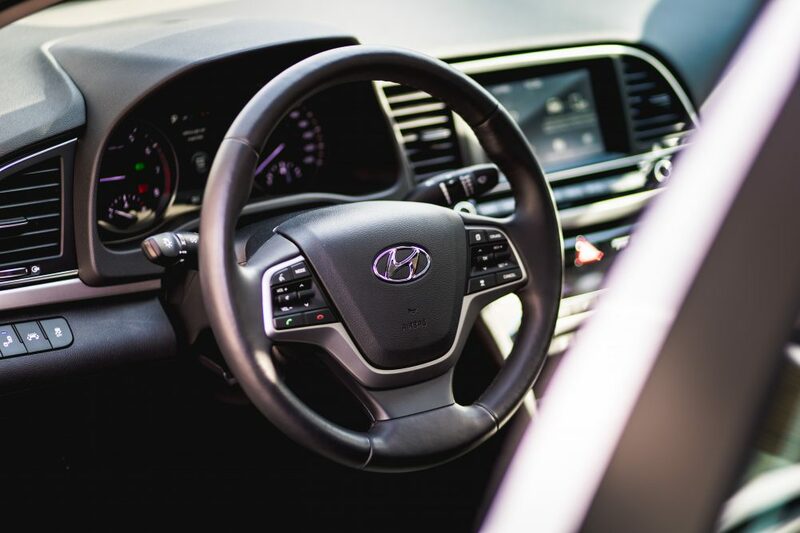 The downside with the Elantra’s interior, however, is that it’s more functional than stylish. Again, there’s just no identity here, no quirky attributes, or no standout design elements like you’d find in a Mazda 3 for example. 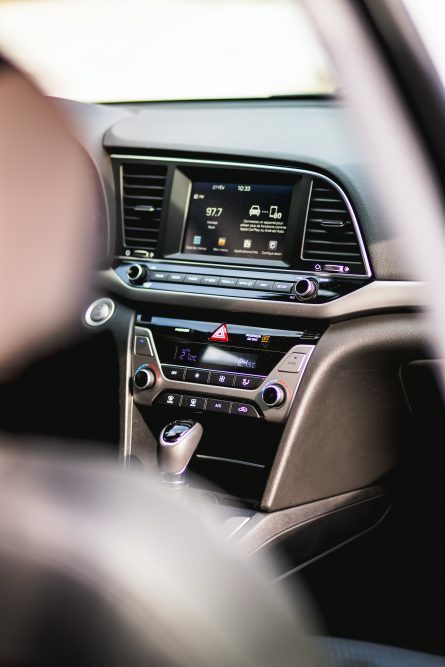 Another important observation about the Elantra’s interior, and all Korean cars of late, is the intense, almost dizzying new-car smell of freshly assembled new plastics. It’s awful. Feels like walking inside a Best Buy. 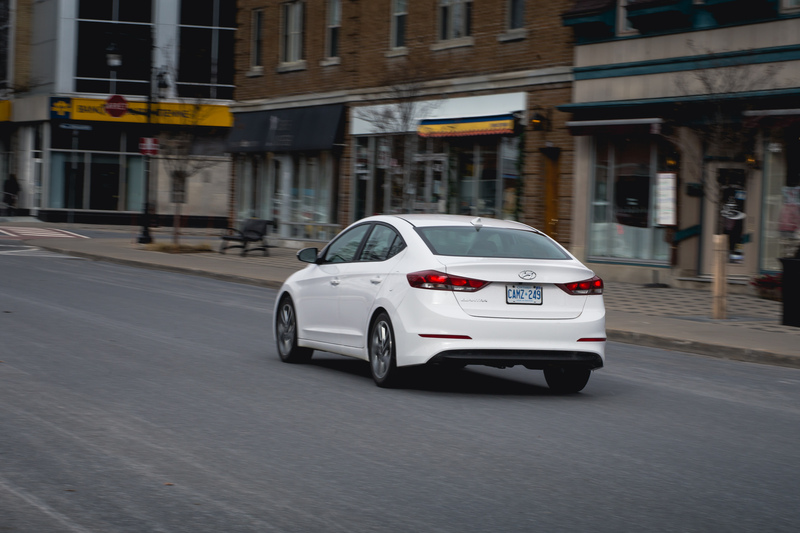 Pricing for a 2017 Hyundai Elantra begins at a very affordable $15 999 for a base L manual, which still gets that super solid Super Structure platform and a class-leading 7.5L / 100 km (real-world) average consumption rating. Climb through a total of six trim levels, and your Elantra will top out at $28 799 for the fully spec’d Limited Ultimate. My tester was the conveniently equipped SE, which is the model I’d recommend my loved ones to buy. It sells for $23 999 and comes standard with all the latest safety features such as adaptive cruise control with lane keep assist, a collision mitigation system with automatic braking, and blind spot monitoring. The SE even comes with faux leather seating surfaces and Android Auto/Apple Carplay connectivity. Now that’s a lot of car for the price. Even with the competition recently upping its game, Hyundai remains the value leader here. Also, I was impressed with the Elantra’s adaptive cruise control, which, unlike the system found in a Lexus which tends to play pong with the lines, Hyundai’s system is precise, clever, and seamless, and is easily comparable to what is found in a modern Volvo – probably the best system I’ve experienced so far. Well played Korea. To conclude it all, I must say I was admirably impressed with the 2017 Hyundai Elantra. This is a fantastically well put together automobile that exhibits road manners usually found in much more expensive offerings all while remaining affordable and well equipped. Hyundai no longer has to worry about building good automobiles. It knows it can. And we know it can. It now must focus on its brand image. Many consumers unfortunately still attribute the brand to something cheap, and low-quality, which is a shame, considering all the engineering know-how it’s been pumping into its cars lately. Hyundai needs to be present in racing, create some sort of a cult status for the younger generation, or shock the industry with something truly innovative and different. I’m sure they’ll think of something. – Drivetrain feels less refined than competition. – Lack of a manual transmission on higher trim levels. I really don’t get this review. I had a low mileage rental Elantra with a bunch of features when my A3 was in for collision repair and I absolutely loathed the thing. The handling was poor, doing very unexpected things in corners/ramps if you drove at more than 6/10ths, the steering feels like its attached by rubber bands at best, and the interior is one of the worst features as well. 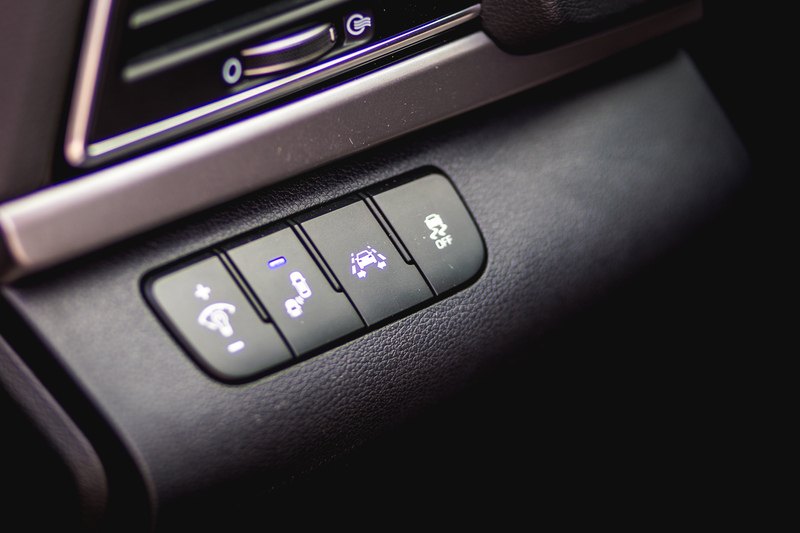 Try to find the ‘Drive Mode’ button while moving and you find out that stylish does not equate to functional or natural. 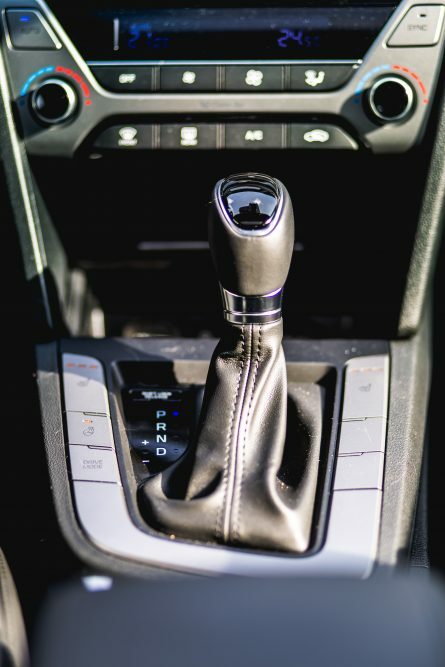 Like many of the features it is just another non-illuminated flush surface placed at random (see your own picture above of the gear shift). I also generally despise the auto dim mirrors, even in my own cars. So I want to be able to disable/enable that when it makes sense for me. Not illuminated. Flush. Not in the centre of the mirror, the far left nor the far right. You almost need a flashlight to find the thing. It’s just not really designed well and I would have thought you could discern some of these glaring shortcomings in a short drive (especially if you drove at night at all).